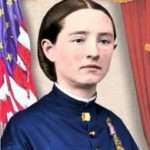 Mary Edwards Walker was the first female surgeon and the second female doctor in the United States as well as the only woman to have been awarded The Congressional Medal Of Honor. Born in the Town of Oswego, New York, on November 26, 1832, to Alvah and Vesta Whitcomb Walker she had four older sisters Vesta, Aurora, Luna and Cynthia, and a younger brother, Alvah Jr.. Her abolitionist parents believed strongly in equal rights and equal education for all humans. The family farm was a stop on the Underground Railroad. They educated their children in a schoolhouse built on their land. Mary and two of her sisters went on to attend the Falley Seminary in Fulton, New York. During her adolescence, Mary showed a keen interest in her father’s medical books, and was impassioned to pursue medicine as a career. After graduating from the Falley Seminary, Mary taught school in Minetto, NY to earn enough money to pay her way through Syracuse Medical College, one of the few medical school in the United States to accept women. She was the only woman in her class, graduating and receiving her medical degree in June, 1855. Alvah thought that women’s fashions of the day were too constrictive, even unhealthy. 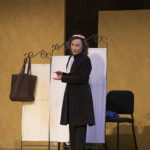 Mary agreed and adopted a style of wearing a frock coat over trousers, feeling that this style of clothing, called the Reformed Style, was less restrictive and more sanitary, as the long dresses of the day dragged their hems in the streets and the fields splattering dirt up inside of the dress. Mary dressed in a modified officer’s uniform, because of the demands of traveling with the soldiers and working in the field hospitals, but kept her hair long to highlight her identity as a woman. In 1856, she married a fellow medical school student, Albert Miller. During the wedding, she wore her Reformed style clothing, omitted ‘obey’ from her vows, and did not take his name. They set up a joint practice in Rome, New York which foundered as the public was not ready to accept a female doctor. Her marriage to Albert also foundered, with him having several extramarital affairs. In an age where it was not common for women to divorce their husband, Mary divorced Albert. At that time, she wrote many essays for the magazine Sybil on women’s rights and the unfair treatment of women by men. In July 1861, after the Battle of Bull Run, Mary went to Washington, DC, to join the army as a medical officer. Her enlistment was denied because she was a woman. Undaunted, she volunteered as a surgeon at the hospital that had been set up in the US Patent Office. Her superior, Dr. J.N. Green, recommended that she be commissioned, but that idea was rejected because of her gender. 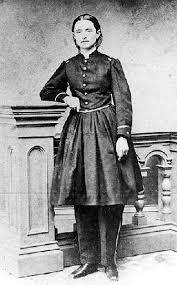 In the winter of 1864, after two and a half years of pursuing a commission, Mary was finally appointed assistant civilian surgeon, becoming the first female surgeon in the United States Army, as well as the United States. She was assigned to the 52nd Ohio Infantry based in Chattanooga, Tennessee and near the Union front lines after the Battle of Chickamauga. 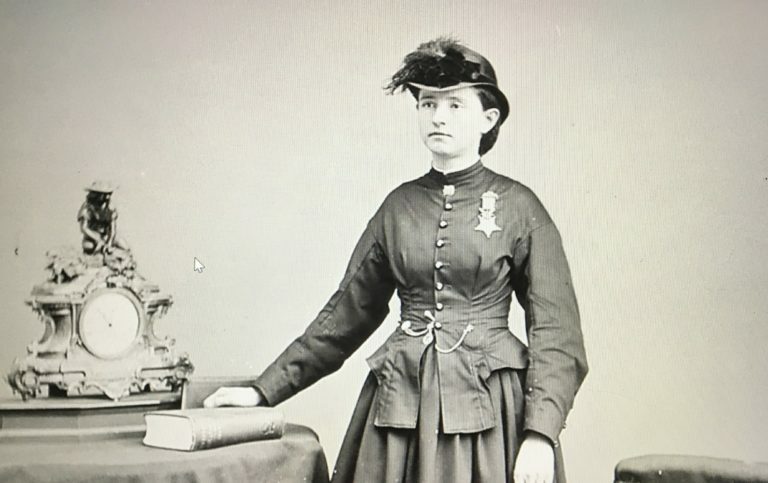 During and after the Battle of Fredricksburg in December 1862, Dr. Mary Edwards Walker worked as a Civil War surgeon near the Union front lines, treating soldiers in field hospitals. She increased the survival rate by advising stretcher bearers to carry wounded soldiers downhill with the head above the feet. She also witnessed many avoidable amputations, which carried a high mortality rate. Again, saving soldiers’ lives, if she thought that an amputation was unnecessary, she would counsel soldiers to refuse that operation. Being at the front lines, Dr. Walker saw the sufferings on both sides of the war and would ride across enemy lines to help Confederate soldiers and civilians, as well as her beloved Union soldiers, stating that her job was to heal. On April 10, 1864, Dr. Walker took the wrong road while on an expedition into Confederate territory to visit patients and encountered enemy guards. She was taken into custody, and was imprisoned in the brutal Castle Thunder in Richmond, Virginia. It was here where her eyesight became impaired due to terrible rations and brutal treatment. Never being silent when there was injustice, Mary complained about the lack of grain and vegetables for the prisoners, and the Confederates added wheat bread and cabbage to the rations. One Confederate officer declared “that lady doctor has enough tongue for a regiment of men”. Four months later, she was exchanged with two dozen other Union doctors for 17 Confederate surgeons. 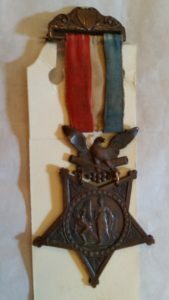 She was proud that her exchange was for a Confederate surgeon with the rank of major. After recuperating from her stay in ‘Hotel de Castle Thunder’ she was ready to return to work as assistant contract surgeon in the Union Army. Again, even after having proven herself as an army surgeon, she had to fight for a commission because of her gender. In October 1864, Mary was finally again commissioned as acting assistant surgeon, remaining in that position until the end of the war and discharged on June 15, 1865. Upon the recommendation of Major General William Tecumseh Sherman and Major General George Thomas, on November 11, 1865, President Andrew Johnson presented Dr. Mary Edwards Walker with the Congressional Medal of Honor for Meritorious Service. 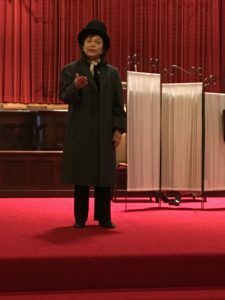 Mary on Suffrage – Arrested for voting! In September 1866, Mary helped Susan B. Anthony and Lucy Stone organize the Women’s Suffrage Association of Ohio. Mary Walker worked for equal rights for women in all facets of life, from marriage to the workplace, including divorce law reform, on behalf of women and authored two books “Hit” and “Unmasked or the Science of Immorality” devoted to her views on female equality. Mary Walker was estranged from other pioneers of the women’s movement over the idea of a constitutional amendment giving women the right to vote. 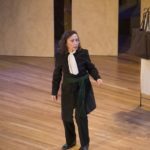 She stubbornly maintained that the “We, the People” of the Constitution included women, and that to allow men to vote on the rights of women was an “unconstitutional usurpation of power.” She went to vote at the polls several times as a ‘citizen’ and was restricted from voting and arrested. On June 10, 1977, the Army Board of Corrections restored her Medal of Honor, citing her for “distinguished gallantry, self-sacrifice, patriotism, dedication and unflinching loyalty to her country”. In 1982, a 20-cent stamp was issued in Dr. Walker’s honor commemorating the 150th Anniversary of her birth. George R. DeMass, Town Historian (Town of Oswego, NY) for his magnificent contribution to this page.